We offer repairs and servicing, with a fast call out. Boiler on the blink? Need a service before the winter sets in? 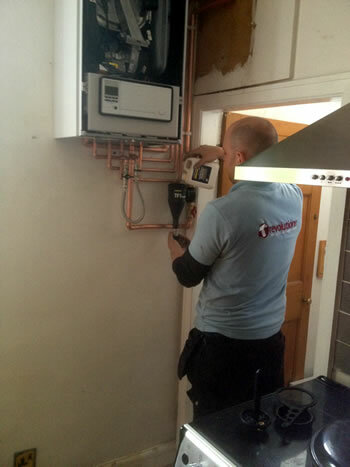 Our highly trained engineers can service and repair your boiler quickly and efficiently. A poorly maintained boiler can often be inefficient, increasing the running costs and in extreme cases release poisonous gases like carbon monoxide. To ensure the continued health and correct operation of your boiler, it is recommend to carry out a full service every 12 months. Our engineers will carry out a full inspection of the appliance to check that it meets current safety regulations, test the pressure, flue gases and ventilation and tell you about any possible issues. Best of all though, we offer boiler services for a fixed price. Book your service today! Broken pipes? Leaking bath? Taps need replacing? 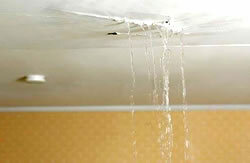 When the plumbing goes wrong in your home, there’s often a risk of serious water damage. You therefore need someone that can react to the emergency quickly, get the job done and get it right first time. So look no further – call us today! We can usually get to your home the same day, and we cover all sorts of plumbing work, from mending burst pipes and leaking radiators to tap replacements. Remember, all our work is fully guaranteed, no payment is taken until the work has been completed, and we do not have any hidden charges!